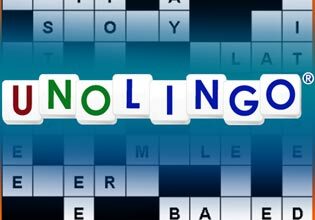 Unolingo - pronounced "you-know-lingo" offers a challenging and creative spin on a traditional crossword puzzle. Comparable to a Sudoku puzzle, substituting letters for numbers, each Unolingo puzzle is a 10x10 crossword without clues. Players must use word knowledge, logic and deductive reasoning to solve the puzzle, which requires filling the 26 empty squares using each letter in the alphabet.